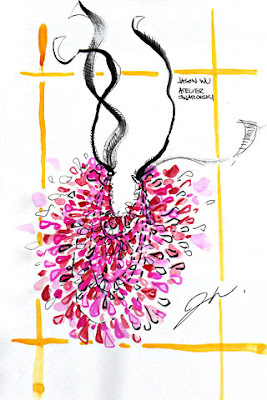 Jason Wu will be unveiling his line of jewelry for Atelier Swarovski. Expect the baubles to be sculptural, as their starting point was the work of artist Tara Donovan. "I like her concept of sculpting with everyday objects," Wu said, "so I'm using fabric and crystals and making sculptures in that spirit."